My favorite part of having a blog is getting comments, especially tips about products I might like to check out. 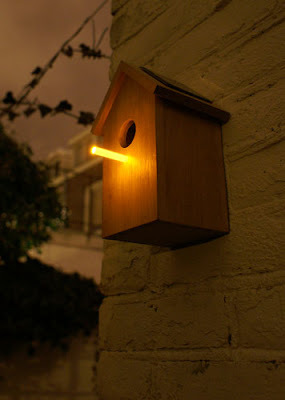 I got a tip from Guido Ooms about his company's Solar Birdhouses. So sweet. That's a really neat birdhouse!